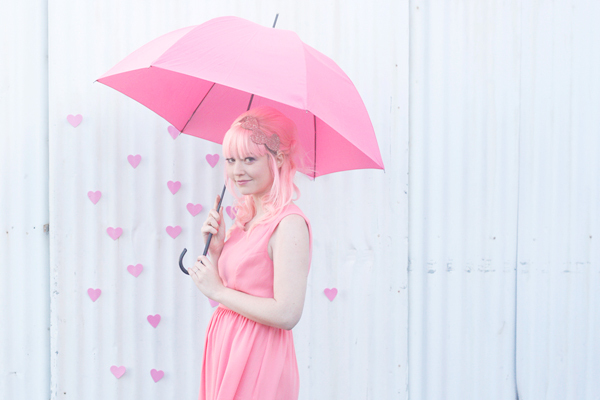 Last week I did a Valentine's Day themed photo session with my friend Martina, who is an awesome hair stylist and makeup artist. We liked the seaside photos from our last shoot so much, we decided to do another one, this time with our friend Nicole. 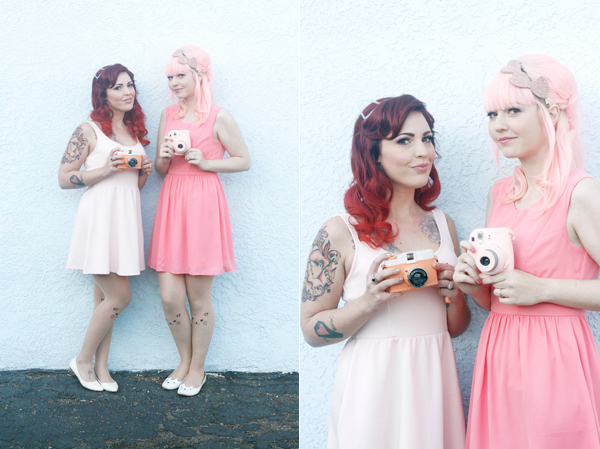 We didn't have a photographer this time, so Martina and I shared photo duties. We all had a lot of fun! 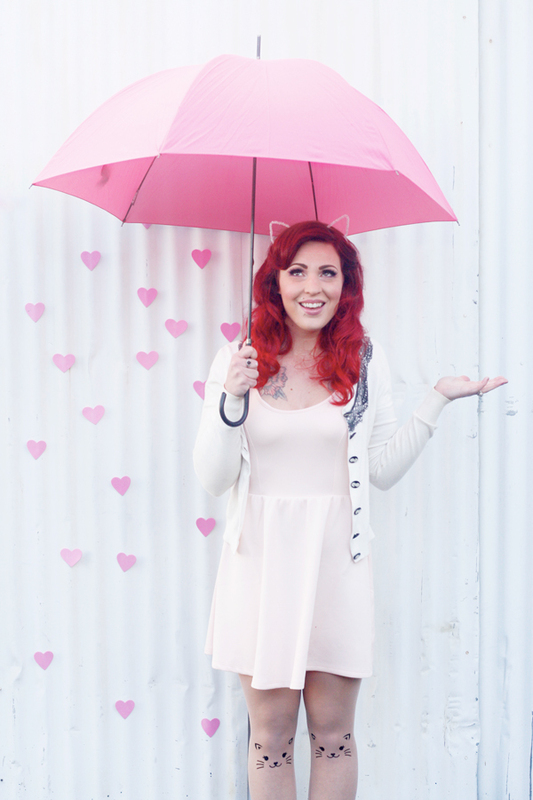 Even though we were freezing and the wind was threatening our hair and makeup, I think the photos turned out so cute! This heart wall was a bit of a battle because we were sticking them right onto the metal wall and the wind kept having other plans for them. 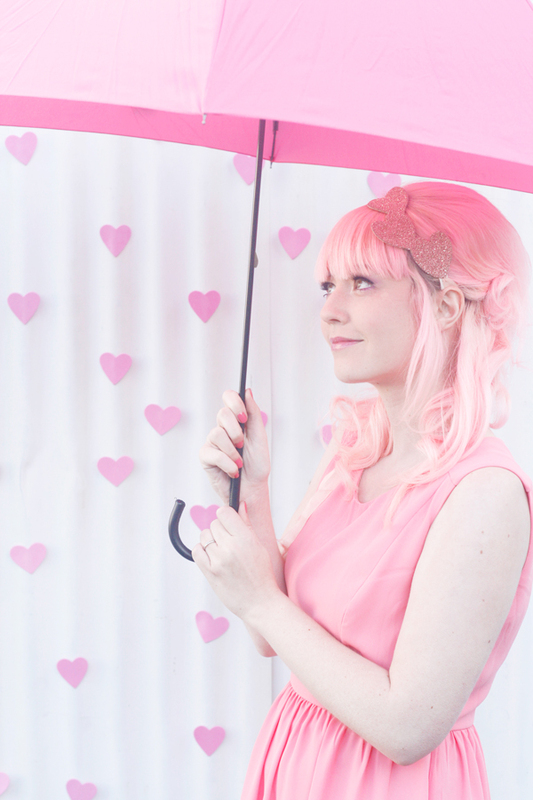 Oh, the weird things we do for pretty photos! 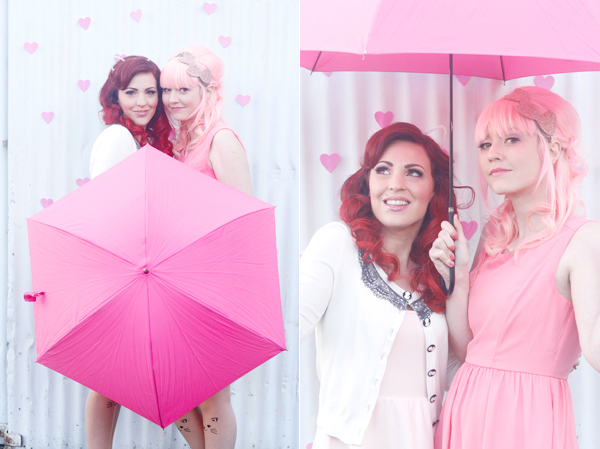 We're already scheming ideas for more photo shoots! What would you like to see us do next? 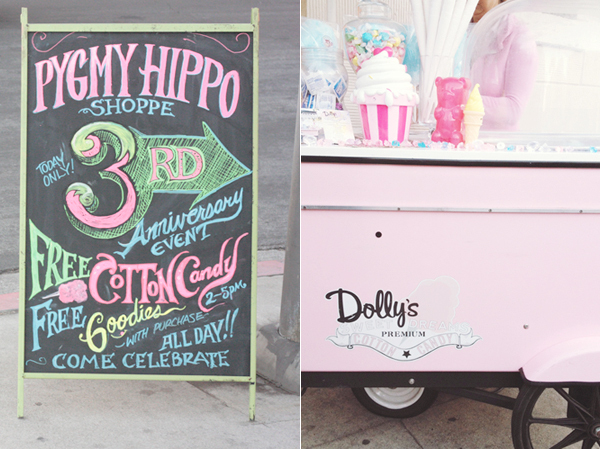 Last month we attended Pygmy Hippo Shoppe's third anniversary party, and it was such a fun day! 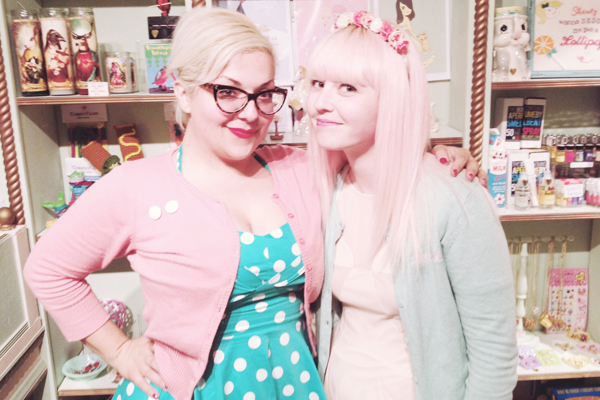 I love visiting the shop and its more-than-fabulous owner, Emi. This was the first year the stars finally aligned and I was able to go to the party. The place was packed the whole time, and it was so nice to witness so much support for this teeny tiny little gem of a store. 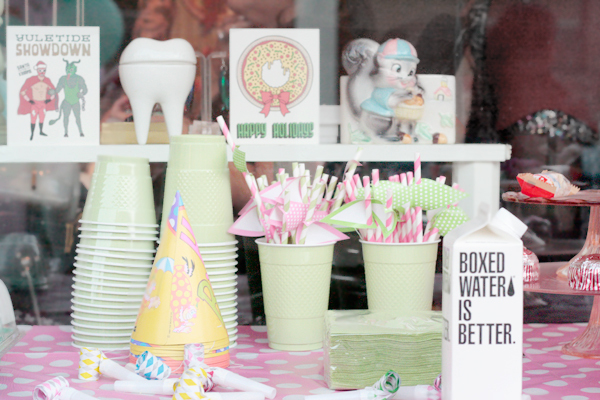 There were all kinds of treats being offered, from cupcakes and cookies to Boxed Water and old fashioned sodas. 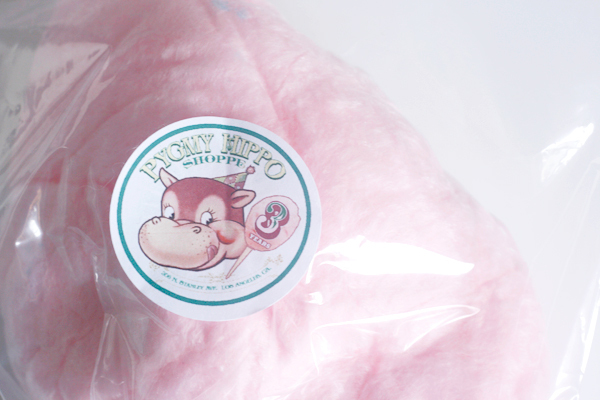 The Pocky truck even showed up, and Dolly's Cotton Candy was spinning candy floss in the cutest little cart! Me and Emi were accidentally reverse matching. I love that lady! I admire her so much for creating such a unique and amazingly curated space; there is truly nothing like that place, and nobody like Emi! I got to meet some very cool and talented people during the event, like Esther Kim. Esther is an artist I've been following on Instagram for a long time, and she does some really wonderful and fun illustrations. I've been wanting to get one of her books for a while, and Pygmy Hippo had it for sale, so I bought it and Esther signed it for me. 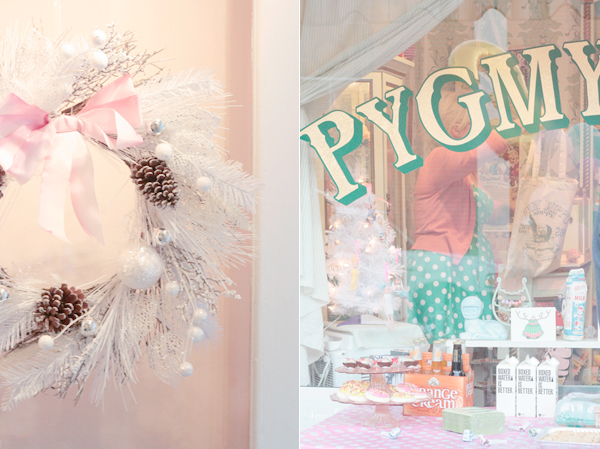 I love how she did the lettering! After the party ended, I got to see Emi and Nathan's pretty-darn-amazing house, then we all went to Pingtung, where we had some delicious dim sum and the best chicken curry of my life. 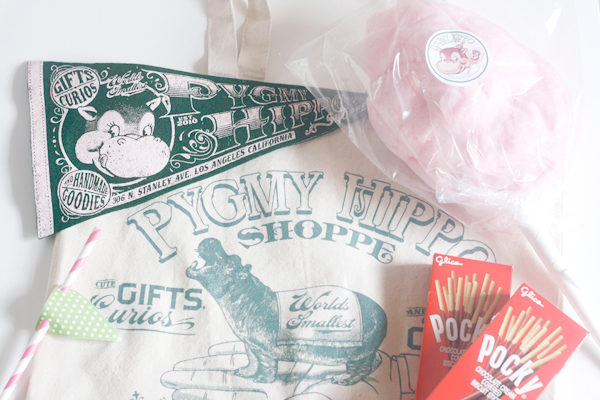 If you ever find yourself in Los Angeles, make sure to stop by Pygmy Hippo Shoppe! 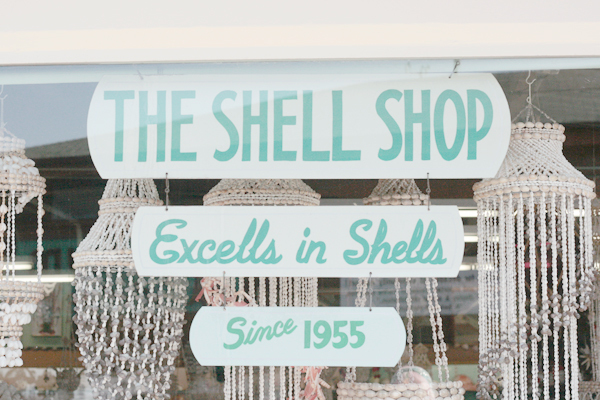 There are so many nifty handmade and vintage treasures to be found there, you'll want to spend forever looking at everything! 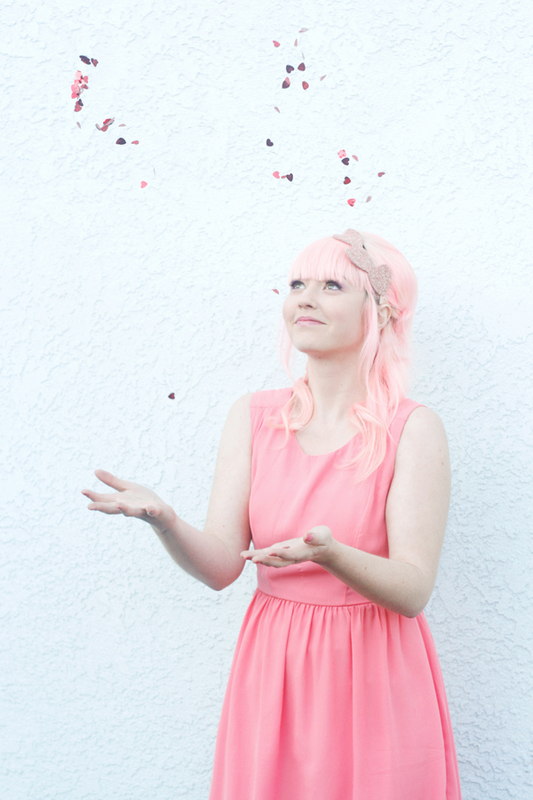 Plus Emi is awesome and she's so much fun to talk to! 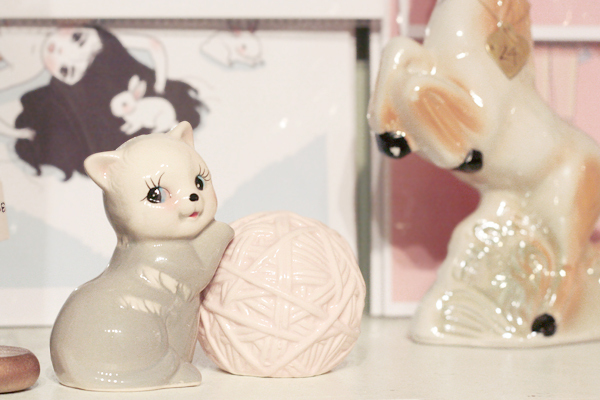 Above are some of my favorites from the shop, and below is a really cute, brand new commercial for the shop, just in case you still need convincing. If you've already been, tell me about your experience! 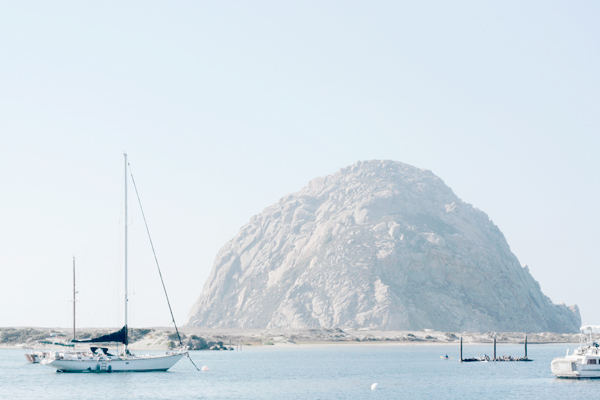 A couple of weekends ago, I headed out to Morro Bay for a little day trip. 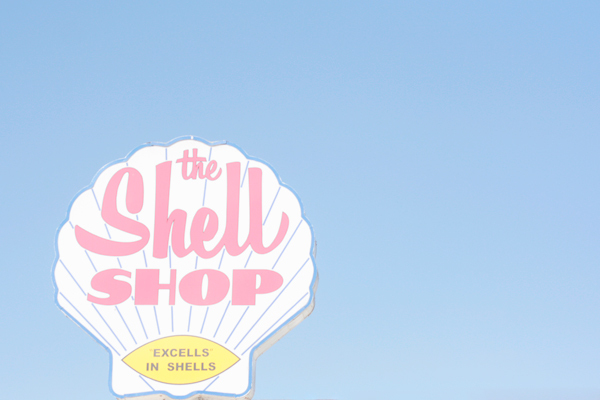 Whenever I visit this seaside town, my eye is always drawn to the pretty pink and white sign of The Shell Shop. 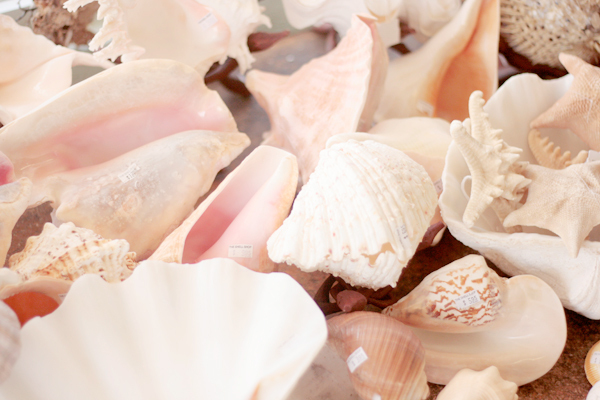 This time, I finally stepped inside the store and took a look at the thousands of shells and other curiosities for sale. There were so many interesting things to see, I had to snap a few photos. 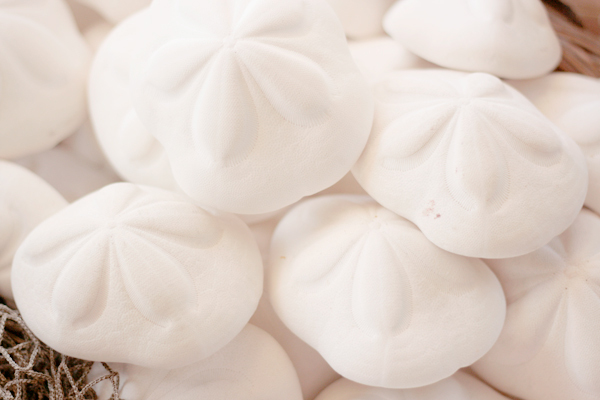 There are shells from all over the world, as well as starfish, coral, and plenty of other oceanic odds and ends. 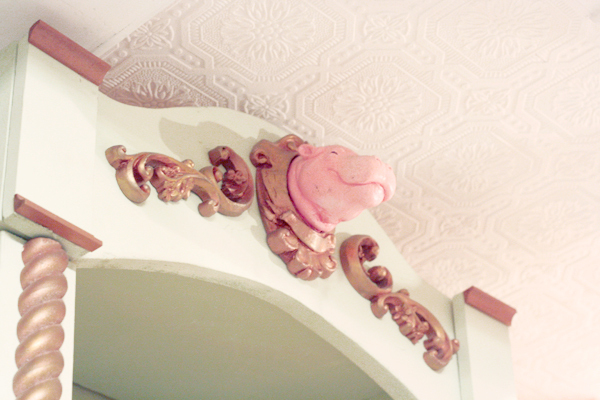 Each piece has a sign displaying its name and where it is from. 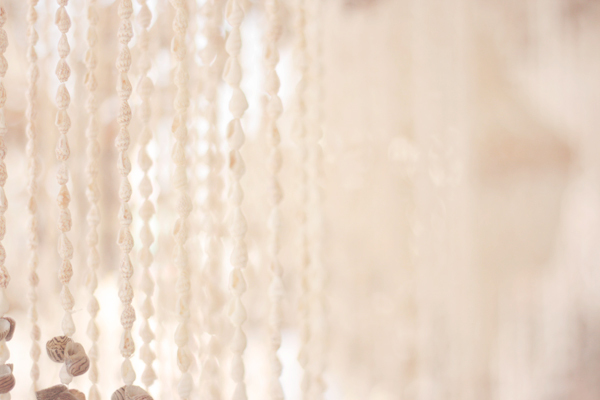 Also for sale are objects covered in shells, and novelty items like shell sculptures, conch lamps, and shell chandeliers. 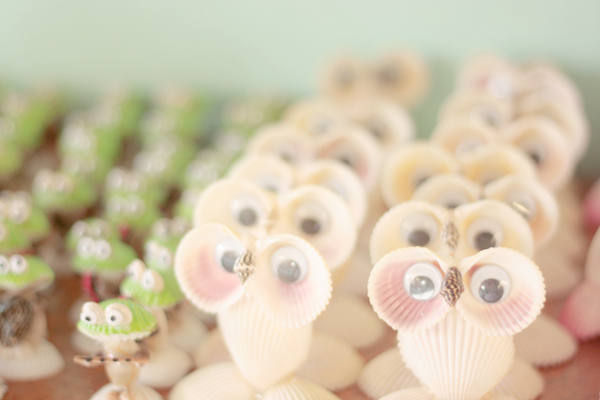 Everyone needs a little googley-eyed shell owl, right? 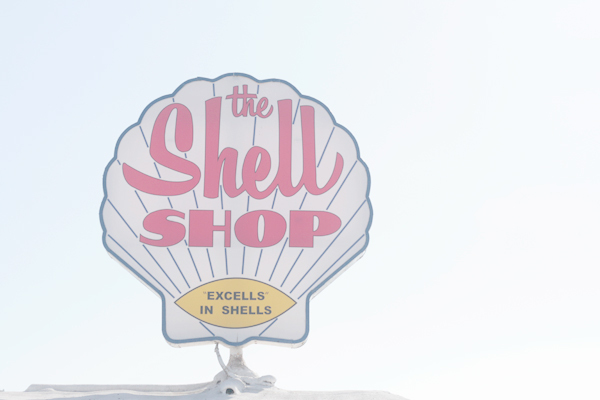 My favorite part of the shop is the signage, both the painted signs in the window and of course that giant shell-shaped sign. 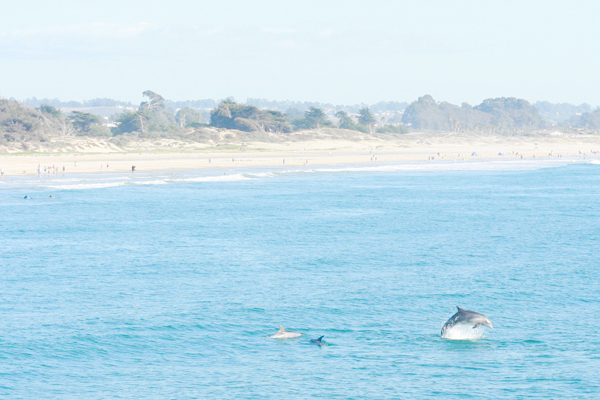 Have you ever been to Morro Bay? I'd like to start sharing more places close to home, I just need to make myself feel less awkward about taking photos in public. There are actually a lot of neat places around here. 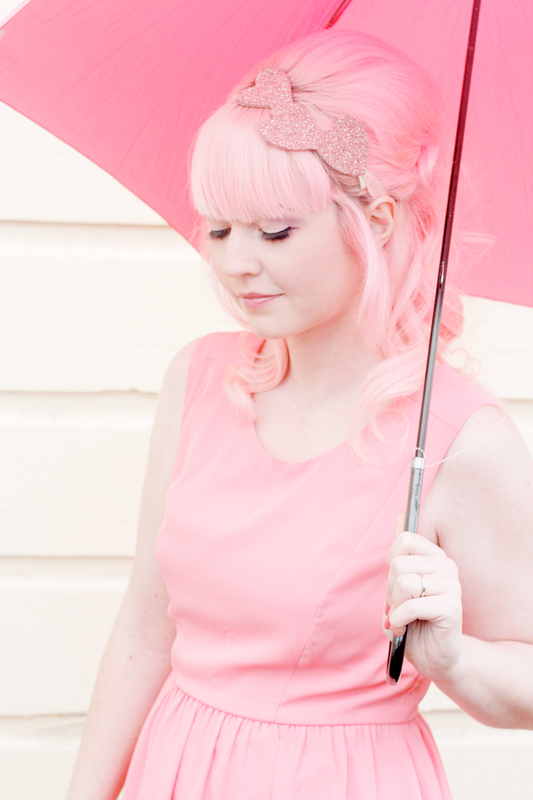 Last month, my friend Martina did my hair and makeup for a photo shoot to show off her amazing skills! I've haven't taken photos with very many photographers so I was a little nervous, but I tried my best and I think Alex's photos turned out so cool! Martina really transformed me, so much so that I was showing my parents my new business cards, and when my dad saw the photo I used from this shoot, he had no idea it was me! 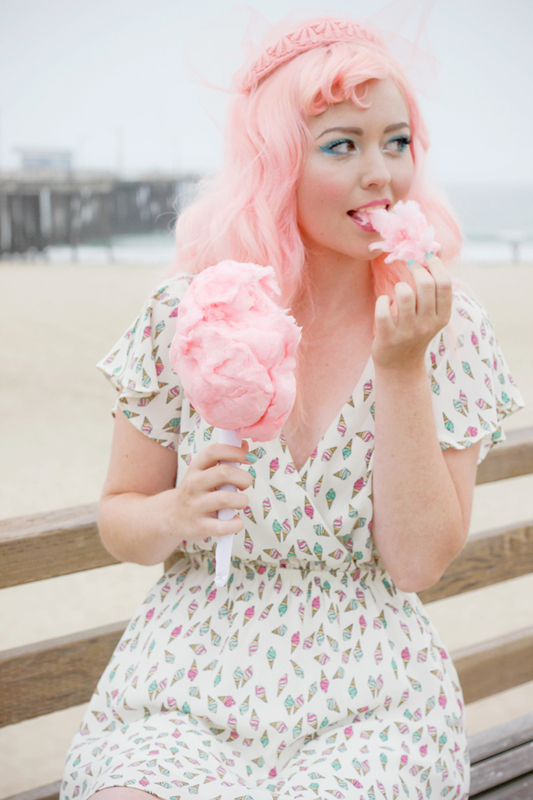 We shot in Pismo Beach, at a frozen yogurt shop and a few other places near the beach. 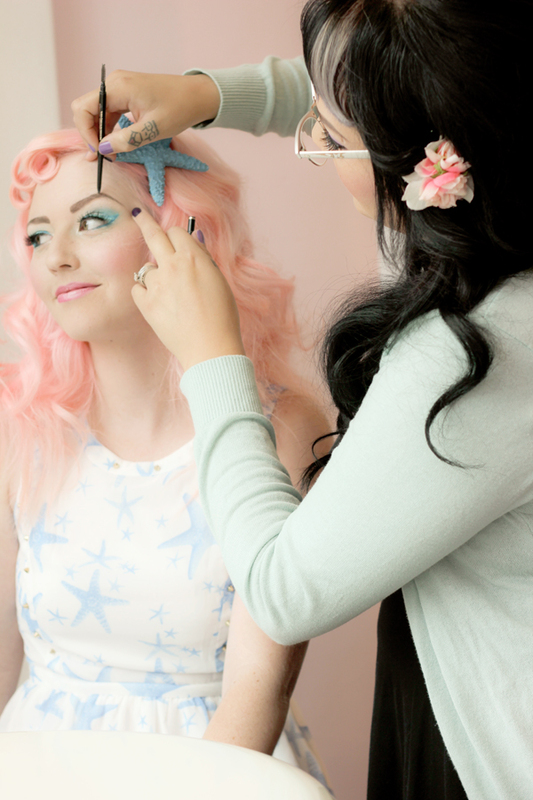 How pretty is that glittery mermaid makeup?! I'm way too lazy to make myself up with anything other than simple eyeliner, but I have to say the sparkles and lashes are pretty darn awesome. We did two different looks; one with a starfish hair clip Martina made herself, and one with her gorgeous vintage veiled hat that I kind of wanted to steal. 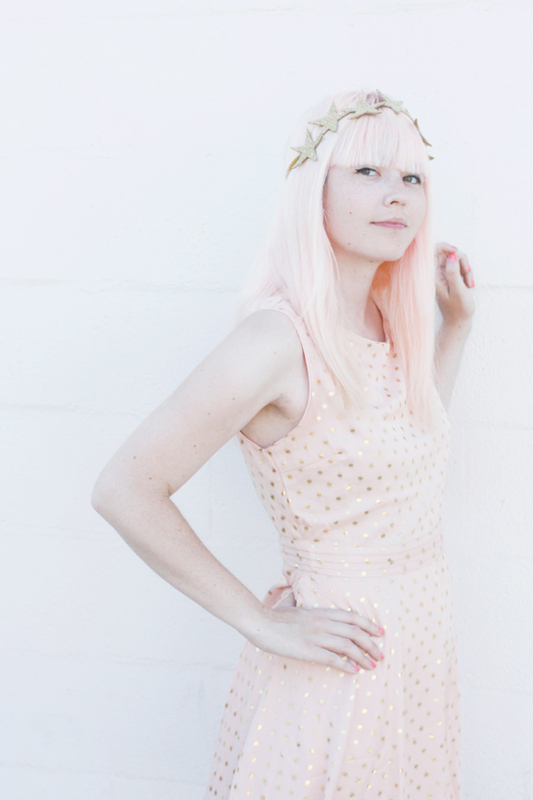 Both dresses are from Forever 21. I'm definitely a fan of the mermaid theme in the first look, and I'm in love with the Coney Island feel of the second look! 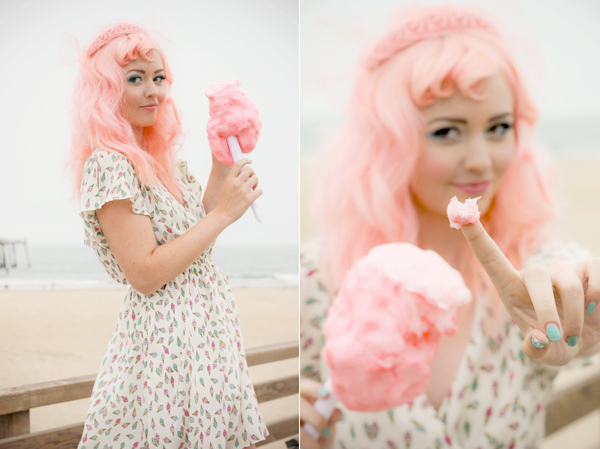 Of course, any photos I get to take while eating cotton candy are just fine with me! 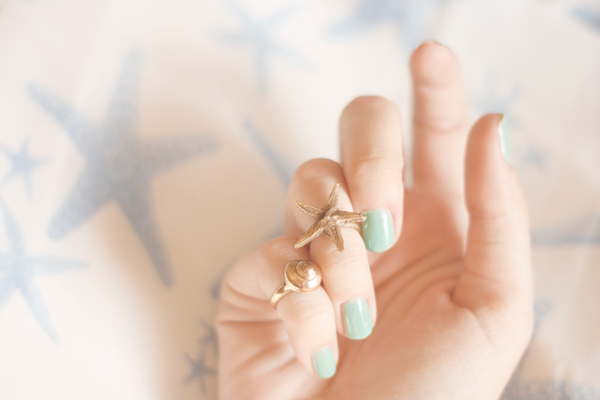 You can't see them very well in the photos, but in the first set I'm wearing these dainty little ocean themed knuckle rings sent to me by Lo & Chlo. 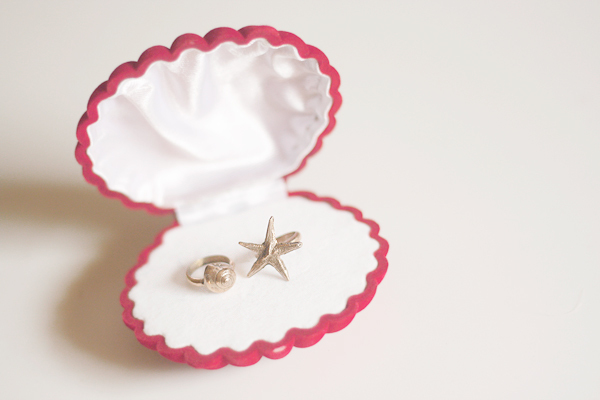 And as a bonus, they arrived in the loveliest clamshell box! 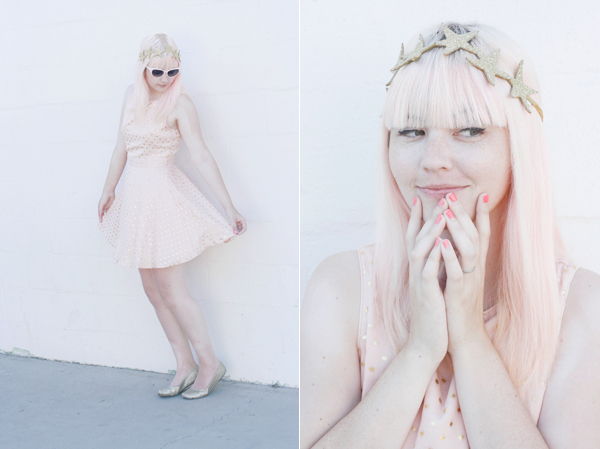 I don't know if you are aware of this, but I kind of have a thing for mermaids (I know, surprise, right?). 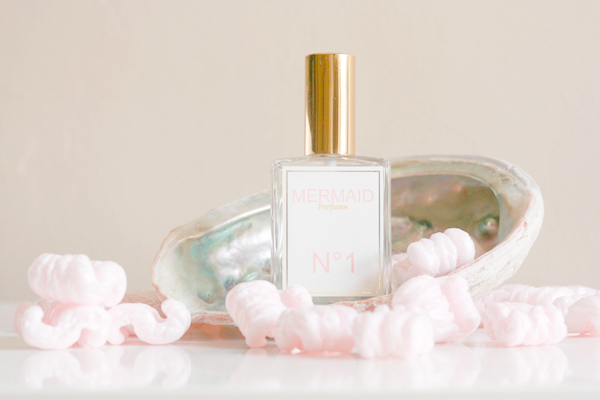 So when I first heard of Mermaid Perfume, I was pretty much in love with the idea. 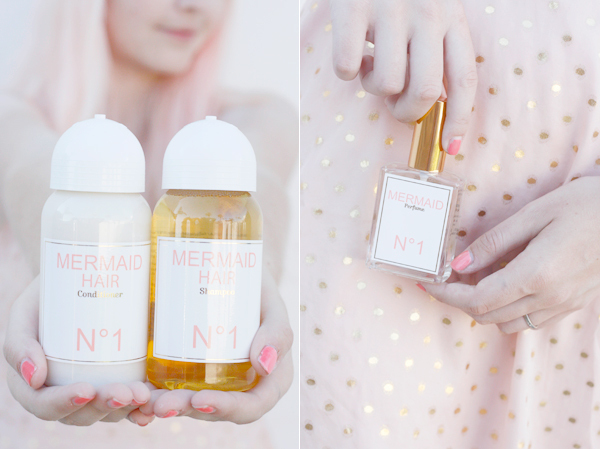 I looked at pictures of the Mermaid line: the perfume spray, perfume oil, and candle. I thought it looked so pretty and I could only imagine how good it smelled. Then, when they released a shampoo and conditioner, I was even more intrigued. 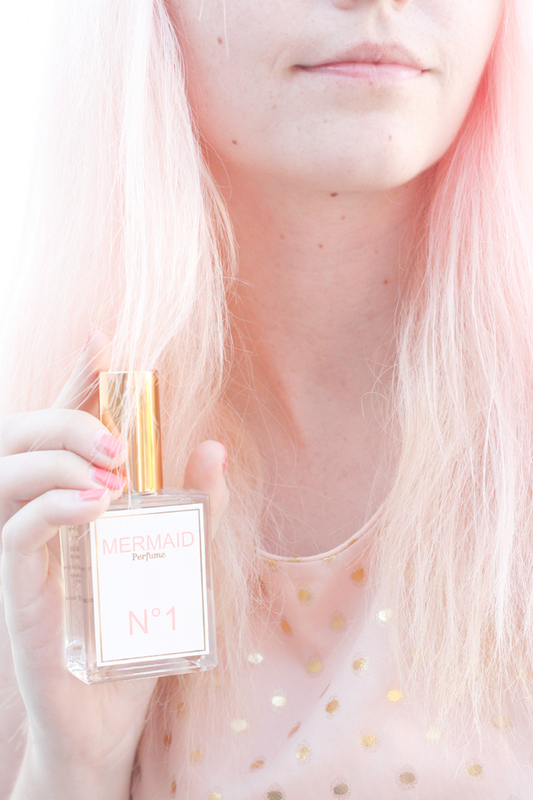 I wanted to smell like a mermaid! Well, the non-fishy version of course. 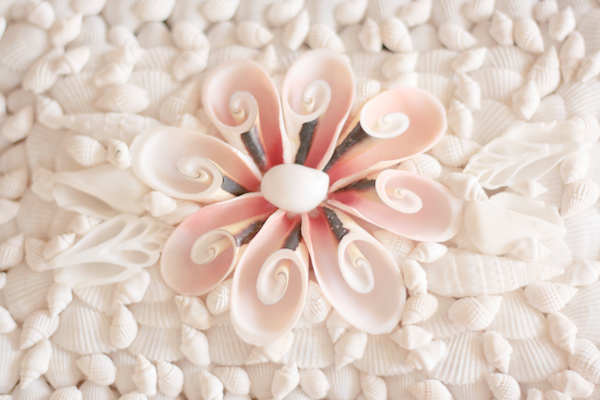 I was delighted when Mermaid offered to send me something from their collection. Everything arrived nestled in pink packing peanuts. I had chosen the perfume, but they also surprised me with the shampoo and conditioner! Of course I tried out the perfume spray as soon as I opened the box. I wasn't sure exactly what to expect, but I immediately loved it! 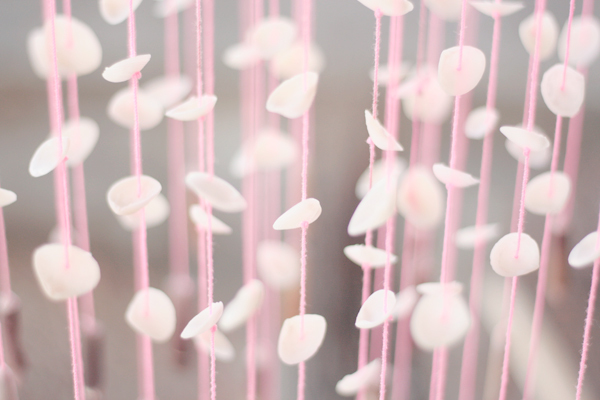 It's a sweet, floral, feminine scent of orange blossoms, and to me it smells like spring and summer at the same time. 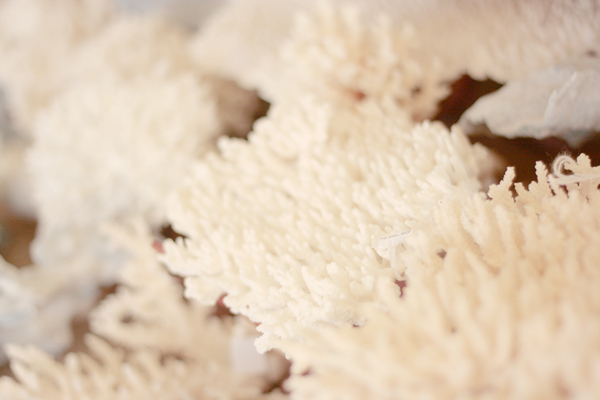 It's light and not overpowering, and it doesn't fade quickly. It's completely different from any other perfume I've used. 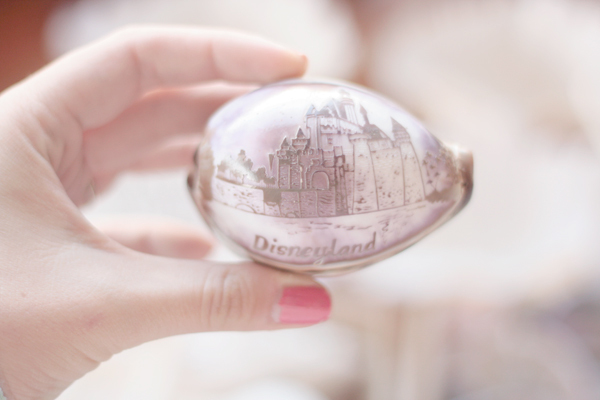 I think it's so lovely! The bottle is a very good size and I know it will last me quite a while. The packaging is so gorgeous, I'll keep the bottles once everything is gone. 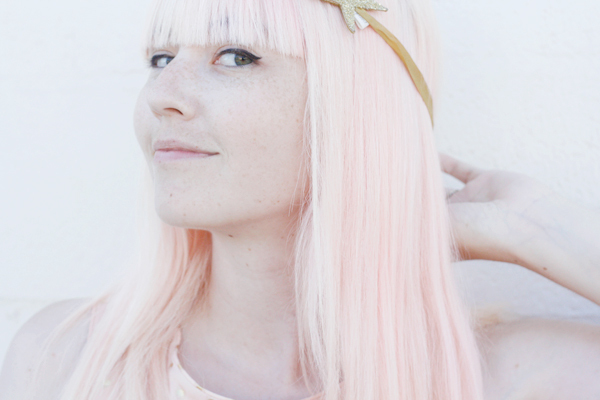 I waited to try the hair products until after I had dyed my hair, to see if it would significantly fade my color. The shampoo smells amazing! 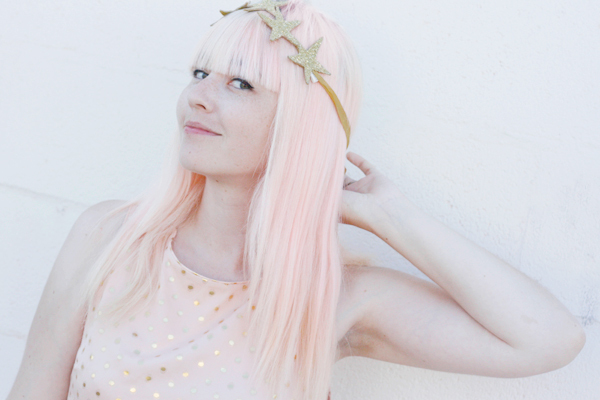 It's like a mermaid baked a tropical coconut lemon angel food cake! After I washed my hair, I was seriously smelling my hair all day, and the next day too! I might've also made Jose and my mom smell my hair. I didn't have to use very much of the shampoo or conditioner for it to work, and it made my hair very silky, to the point where my coworker even commented that my hair looked softer. I didn't notice fading, and I only wash my hair once a week and it was still nice and soft by the end of the week. 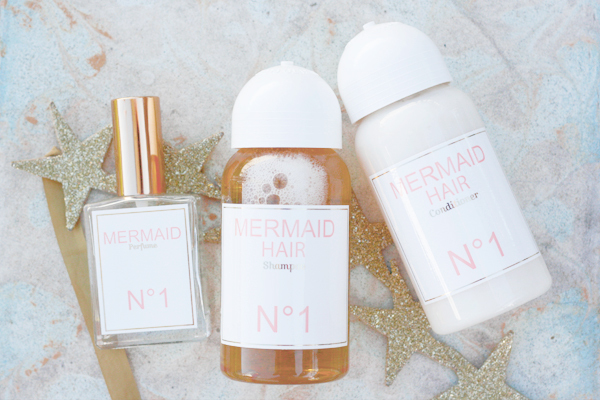 The best thing about Mermaid is that the entire line is cruelty-free, and made from only the best ingredients! It's kind of comforting when you can recognize all of the ingredients, and they're things like hibiscus, geranium, and elderflower, instead of hard-to-pronounce chemicals. And the hair products are sulfate-free, which is the only kind of hair stuff I use. 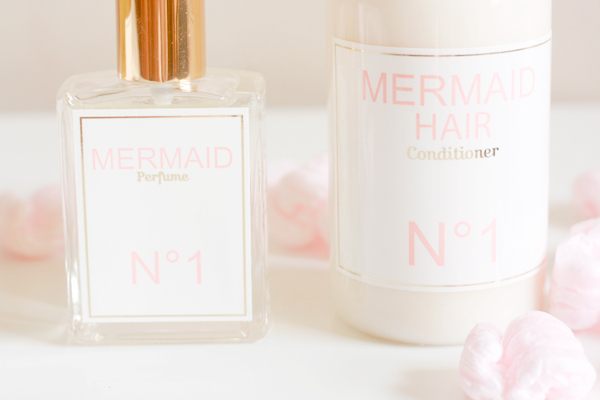 I'm so obsessed with the smell of the shampoo, I think Mermaid should come out with a body wash or soap! Or anything else really, their products are all clearly awesome! I'd love to try out the candle and the perfume oil, and I can't wait to see what they come up with next! We took a day trip to the beach, even though you can't tell from these photos, but I promise, we walked down the pier, the light was just too harsh to take pictures. 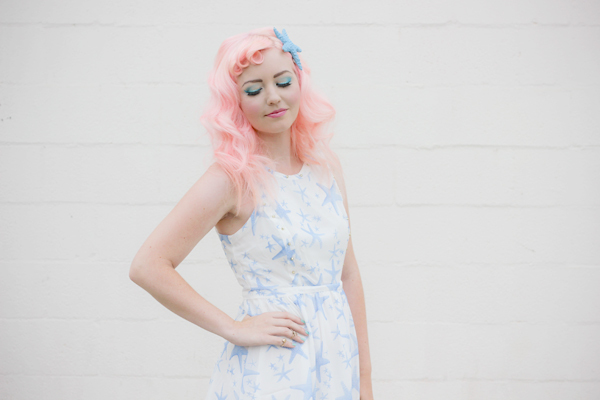 I wore my new favorite dress that only cost four dollars, and I love how it matches the beautiful Mermaid packaging. It was a fun day; we saw dolphins right off shore and I snapped a perfect shot of one jumping out of the ocean! Then we had cotton candy, and I discovered that the frozen yogurt place next to the pier has real Dole Whip! So we'll be going back there a lot. Hooray for beach days! I'm still holding onto summer with both hands, and I think the weather agrees with me.